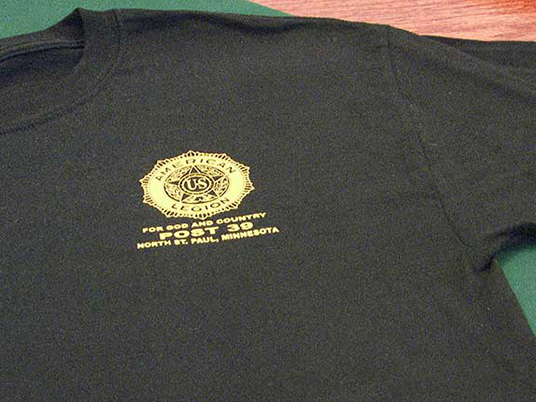 The Legion T-Shirts and Hats are on display in the display case in the hallway near the right side entrance to the Legion building. 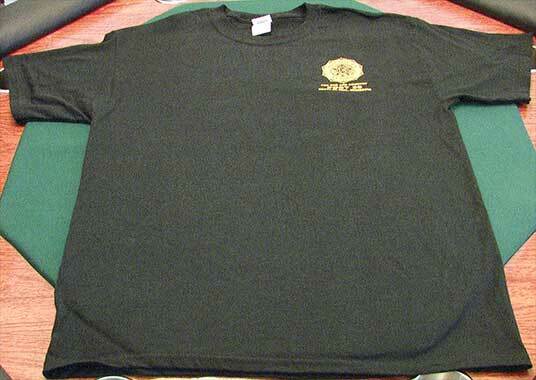 The T-Shirts are for sale in the bar area of the Legion for $15 each. Currently, the sizes available are L, XL, XXL. The Hats are also available for $15 each. Closeup of front of T-Shirt. 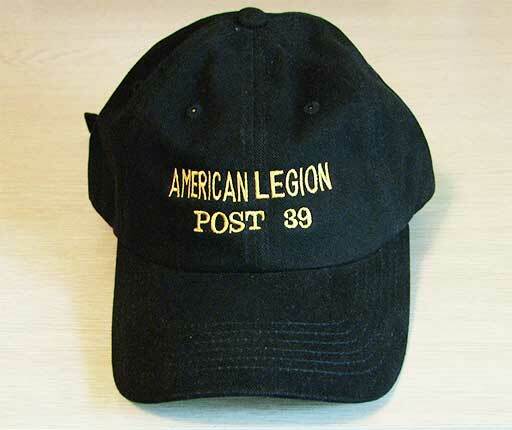 American Legion Post 39 Hat For Sale. 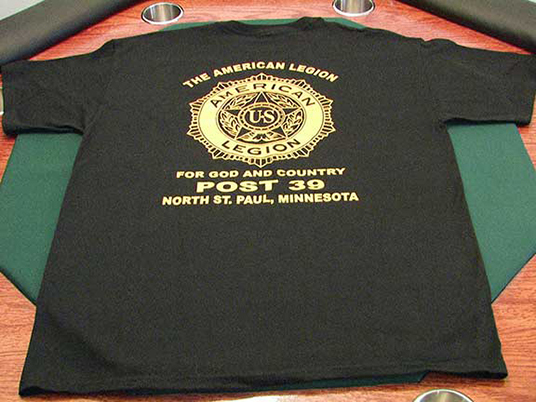 Ask the bartender or a member of the waitstaff at the American Legion in North Saint Paul for an American Legion Post 39 T-Shirt or hat today! given to a random person once a month that "Liked" the Legion Post 39 Facebook page.